Nominations for the 75th Annual Academy Awards were announced on Tuesday, February 11, 2003, by Academy of Motion Picture Arts and Sciences President Frank Pierson and Oscar(R) winner Marisa Tomei. Pierson and Tomei announced ten of the 24 categories at a 5:30 a.m. news conference attended by over 400 international media. In 1993, Tomei received an Oscar for "My Cousin Vinny" at the 65th Academy Awards Presentation. She received her second Oscar nomination last year for her "In the Bedroom" supporting role. "Academy members selected the nominees in their respective branches, with the exception of the Animated Feature and Foreign Language Film categories, where nominations were selected by vote of screening committees. All members select the Best Picture nominees. The secret ballots were mailed to 5,816 members in early January and were returned directly to PricewaterhouseCoopers, the international accounting firm, for tabulation" said Pierson. 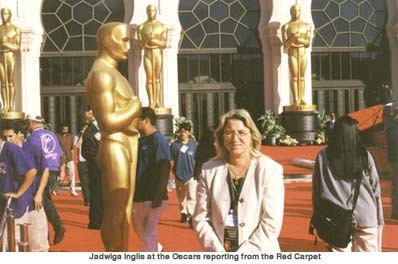 Academy Awards(R) for outstanding film achievements of 2002 will be presented on Sunday, March 23, at the Kodak Theatre at Hollywood & Highland(R) and televised live by the ABC Television Network beginning at 5:30 p.m. PST. "El Crimen del Padre Amaro"